Pirelli plans to change the design of its tyres to allow Formula 1 drivers to push closer to the limit during races. Drivers have made it clear they would prefer to be able to attack more and not drive conservatively, as the sensitive current tyres require. Leading drivers reiterated this at a meeting of major players on Tuesday. But F1's tyre supplier will only start to work on changing the tyres for 2017 once new regulations that will make the cars faster have been finalised. 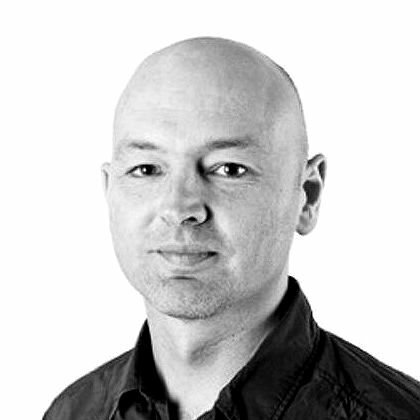 Teams are trying to conclude them by the end of February after months of dispute. Why have the drivers got involved? 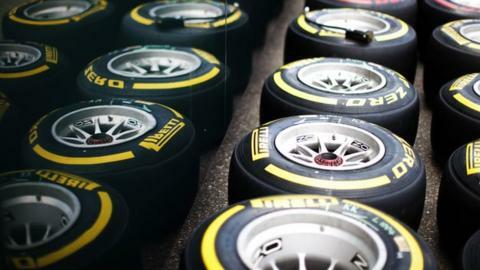 The drivers' desire for tyres with different characteristics was made official for the first time by Grand Prix Drivers' Association chairman Alexander Wurz last month, when he told BBC Sport the drivers wanted "a tyre fit for maximum-attack racing". Seven drivers attended a meeting of major stakeholders at Pirelli's Milan headquarters to discuss this issue on Tuesday - Ferrari's Sebastian Vettel, one of the GPDA directors, his team-mate Kimi Raikkonen, Mercedes' Nico Rosberg, Red Bull drivers Daniel Ricciardo and Daniil Kvyat, and Williams' Felipe Massa and Valtteri Bottas. BBC Sport has learned that the drivers asked Pirelli to make some improvements to the tyres, especially to enable them to attack harder and to reduce the amount of tyre management required. The drivers would like to see an end to the need to nurse the tyres by driving significantly below the physical limit of driver and car. This has been required since Pirelli entered F1 in 2011 because the tyres are designed deliberately to lose performance if they are pushed too hard, as a way of promoting more pit stops. All parties have agreed not to comment publicly on the content of the meeting. However, one insider said on condition of anonymity that "in terms of ensuring the right people heard the issues, it was a good meeting and we made progress". The event was hosted by Pirelli chairman Marco Tronchetti Provera and also attended by FIA president Jean Todt, FIA F1 director Charlie Whiting, F1 commercial boss Bernie Ecclestone, Ferrari president Sergio Marchionne, McLaren chairman Ron Dennis, Mercedes head of motorsport Toto Wolff, Red Bull team boss Christian Horner and Williams deputy team principal Claire Williams. Insiders say Pirelli is happy to accede to the drivers' requests once the regulations for 2017 have been finalised and as long as the teams can agree on a mechanism for testing during 2016. Pirelli is already hoping to make a small step towards reducing the need for tyre management with changes it has made to the tyres for this season. The rules permit up to 12 days of testing during this year for Pirelli to use to develop tyres for 2017, when cars are to be made faster and more dramatic looking in an attempt to arrest an apparent decline in interest in F1. Do Pirelli have the hardest job in F1? But obstacles remain, particularly how to fit the days into the busiest calendar in F1 history with a record 21 races, and also finding a car that can accurately represent the higher cornering loads that will be generated in 2017. No 2017 cars will be ready until February next year. The teams and the FIA are discussing ways to resolve those difficulties. Where are the 2017 rules? Plans to make the cars up to five seconds a lap faster and more dramatic-looking for 2017 hit a hitch before Christmas. Pirelli told teams its current tyres could not cope with the increased loads envisaged without being run at much higher pressures, which would negate much of the increased performance from the cars. As a result, the FIA asked the teams to look at a watered-down set of rules that increased the downforce created by a smaller amount. This revised plan abandoned changes to the underfloor and making the bodywork wider, but retained the greater width between the wheels and modifications to the front and rear wings. Some teams, however, said F1 should stick to the original plan. Insiders say that the most likely solution is a halfway house between the original plan and the newer one. The current suggestion is to focus on trying to increase downforce as efficiently as possible - without increasing drag more than necessary. This is likely to mean reinstating some changes to the underfloor, but not as extensively as before, while reducing the scope of changes to the rear wing. Wider front and rear tyres have always remained part of the plans. To satisfy the drivers' requirements, though, Pirelli will also have to change both the structure of the tyre and the philosophy it uses for the composition of the tread.